Comment: Need a general home inspection for home sale contract. 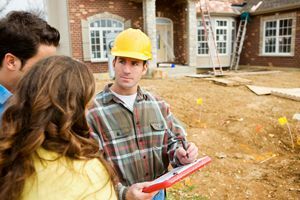 Home inspection must be completed by 10-9-18 per contract. Comment: Offer to purchase a new home in Harwich was accepted. Need to have it inspected this week. Comment: Built 2012, 1 BR, 1 Bath Ranch, 933 sq.ft., with full basement, pull down stairs to attic,attached rear deck. Comment: Need a home inspection as part of the agreement to purchase a home in Harwich. Any day this week (Wednesday - Saturday) will work for us as we are flexible on those days. The follow two weeks later will will be harder. Thank you for your consideration! Harwich Home Inspectors are rated 4.87 out of 5 based on 460 reviews of 3 pros. Not Looking for Home Inspection Contractors in Harwich, MA?